*Please note Framwellgate Moor Surgery cannot be contacted by telephone on a Saturday morning. If you need to book an appointment after 6pm please ring 111. If you require medical advice about a serious problem that will not wait until normal surgery hours please ring 111. A receptionist will ask you for details of your problems and take your telephone number. Either one of the doctors in our Practice, or another fully qualified local GP will ring you back as soon as possible. Patients are advised that, when calling the ‘Urgent Care Centre’ your telephone call may be recorded. If you require assistance with any other problem, please telephone the Surgery during normal working hours. Alternatively, you might choose to ring 111 for confidential skilled professional telephone assistance. Framwellgate Moor surgery is open from 8.00am – 1.00pm after which time patients should call 111. The Accident and Emergency Department at University Hospital of North Durham is open at all times. Please use for accidents and emergencies only. There is a Casualty Department dedicated to Emergency ENT problems at Sunderland District Hospital, and a specialised Emergency Eye Department at Sunderland Eye Infirmary. 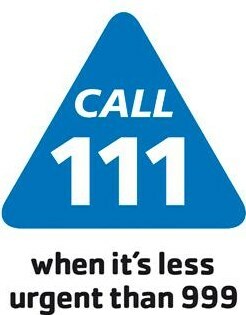 If you need urgent medical attention during this time please contact NHS 111.